FOR IMMEDIATE RELEASE – Wednesday 17th April 2019 (St John’s, Antigua) As part of the continued initiatives geared towards developing the sport of basketball, the Antigua and Barbuda Basketball Association (ABBA) will be hosting its first-ever Health Fair on Saturday 4th May 2019, from 8:00 a.m. to 2:00 p.m. The primary focus of this Health Fair is to raise the health awareness of our island’s athletes, by offering free services and screenings such as visual, dental, and physical examinations including, blood pressure, blood glucose, and body mass index (BMI), just to name a few. Another important aspect of hosting Fair here in Antigua is to encourage and expose athletes, especially the younger ones, to the potential health risks that can likely affect them in the short or long-run from achieving their full athletic potential. 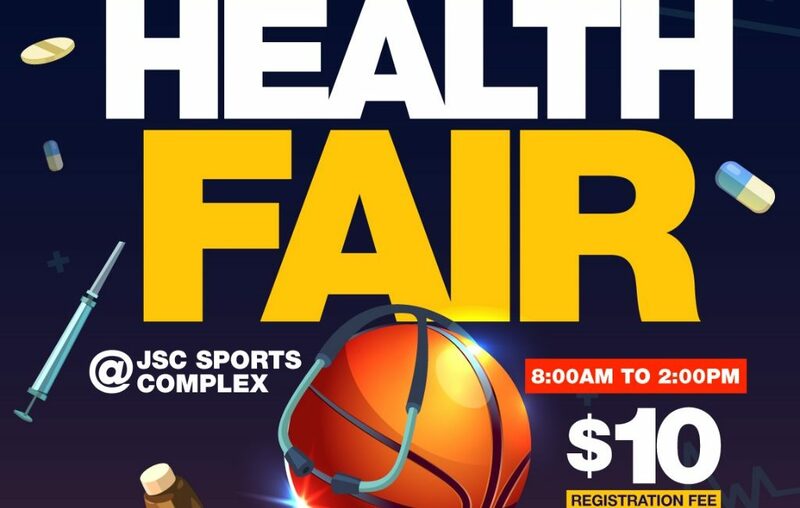 The Health Fair will be held at the JSC Sports Complex, and there is a processing fee of $10 per athlete. As the association strives to elevate basketball, and sports in general, across Antigua and Barbuda, athletes and the general public are encouraged to participate in this health experience.